I’ve decided to tackle a problem that seems to plague every writer at some point or another. That’s right today I will be discussing the terror known as writer’s block. I’ve battled on and off with writers block ever since I started writing. My first real experience with it was in middle school when after a writing club meeting I was assigned the task of writing a piece of short fiction dealing with advertising. I thought and thought on what I was going to do and came up empty each time. I was hit with the double whammy of blank page syndrome and writer’s block all at once and I couldn’t figure out where to go. Some of you may have experienced this awful feeling of wanting desperately to put something down on the page and not being able to. Others may be well into their work and have simply ground to a halt (or maybe come screaming to a stop) but almost any serious writer has come across it. Everyone says something different about writer’s block and curing it and I even came up with a miracle cure of my own back in middle school while wrestling with my short story. I finally hammered out the story of a sad author stuck deep in the mires of writer’s block who conveniently tunes into a commercial for a miracle drink known as Block-B-Gone the revolutionary cure for writers block. If only curing writer’s block could be as easy as taking a swig of good old Block-B-Gone. Over the years as I’ve struggled with writer’s block I’ve come across a lot of different advice, some of it worked and some of it didn’t. I’m going to give you my top ten list of ‘Block-B-Gone’ cures that have helped me to get past some of my toughest bouts with writers block. I’ve used all of these at least once and some of them on a regular basis just to keep my writing on track. I hope at least one of them can help you. 10: Just keep on writing past the block. It doesn’t matter what you are writing, just make sure you are writing. Even if you’ve moved away from your novel, poem, or whatever as long as you keep plowing forward eventually you’ll break through. 9: When writer’s block sets in step away from your desk, notebook, ect. and do something else for a while. 8: Do a writing exercise or find some prompts. These can both help you get started or keep moving in your writing. There are a lot of them out there and they can be a great way to generate ideas. 7: This goes with number 9, get some exercise. Getting your body moving helps to shake away all the mess and clear the way for great ideas, just make sure you’ve got a notebook on hand for when that idea finally does strike. 6: Set it aside for a few days and then come back to it and read it over again. 5: Ideas will hit you at the most unexpected of times so keep a notebook ready for when they do. You never know what mundane event in your life will spark the breakthrough you’ve been waiting for in your novel. 4: The best way is always to stop when you are going good and when you know what will happen next. If you do that every day … you will never be stuck. 3: Ignore your inner critic. We are often the hardest on ourselves and this can often halt our writing process if we are not careful. I have often talked myself out of writing something for fear of how it would look or turn out. 2: Have fun. 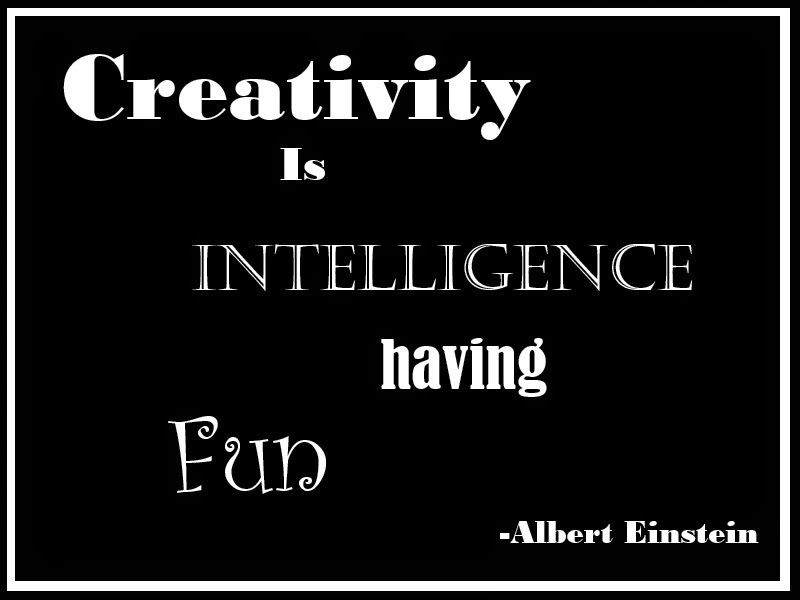 Albert Einstein once said “Creativity is intelligence having fun.” And I’ve found this to be true. I started writing because it was fun. I’ve always enjoyed telling stories or making them up with friends and we were always at our best when we were having fun. The two just go together. 1: When you are stuck that is your subconscious trying to tell you that you have gone in a wrong direction. Step back and look at what you’ve written and don’t be afraid to rewrite whole sections of your work. I got this advice when I was seriously stuck on a chapter in my novel and I ended up having to rewrite over a chapter and a half because of it. However the rewrite changed the story back into a direction I liked and things are flowing very well now. My personal favorite cures on this list are cures #1 and 2 (that’s probably the reason there at the top of my list…). They tend to go best together for me. As long as I’m having fun and the story is flowing in the right direction writer’s block seems to stay far away. It’s only when I let it become work or try to think too hard about the story that things get messy. I understand writing is hard, but so is everything that is worthwhile in life. Don’t let the block get you down, try some of these ‘cures’ and if they don’t work and you still need help there are plenty more on the internet to try. My advice? Use what works for you. You know yourself and your writing best, so stick to the things that tend to work for you and you’ll do fine.